Featured on the Amazing and Beautiful Whimsical Wonderland Weddings Blog!! Hello, hello beautiful lovely people? How are you all today? 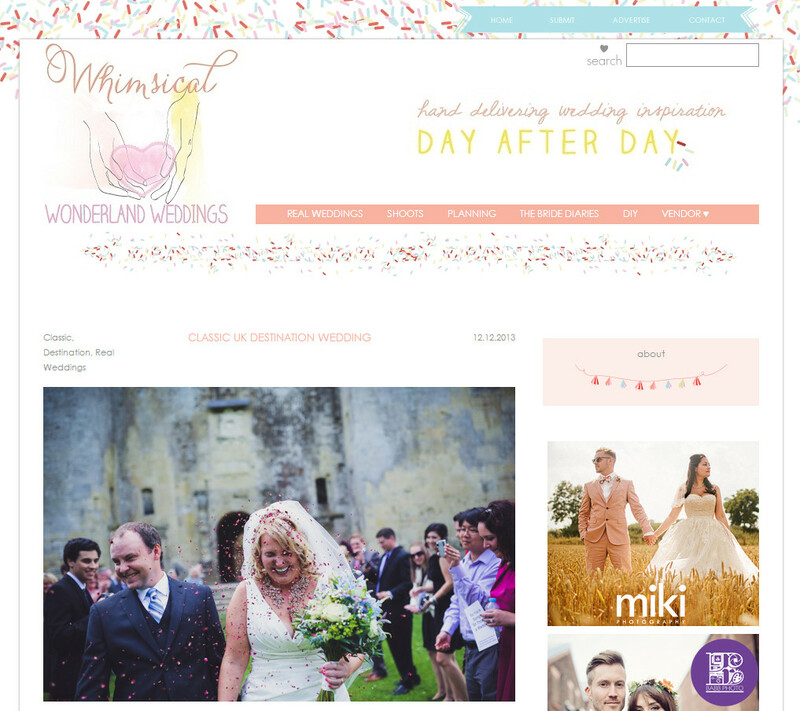 I’M FANTASTIC, thanks for asking as I’m featured on the amazing and wonderful Whimsical Wonderland Weddings today!! Great publicity for me on one of my favourite weddings EVER, EVER!! Caroline and Tom Larson who joyfully got married in the UK back in June. They’re originally from the USA, Florida so it was a great to create a wedding for them and have them featured on WWW today. It really builds your confidence when something like this happens, as people from all over the world get to see your work. I won’t go into too much detail as I wanted to create my own post on Caroline and Tom, but thought y’all like to know this great news on me getting on one of the worlds top wedding blogs!! Click on the screenshot below to take you to the article. I hope you enjoy it and stay tuned for when I feature Caroline and Tom on the MO blog very soon. Have a wonderful day and take care.